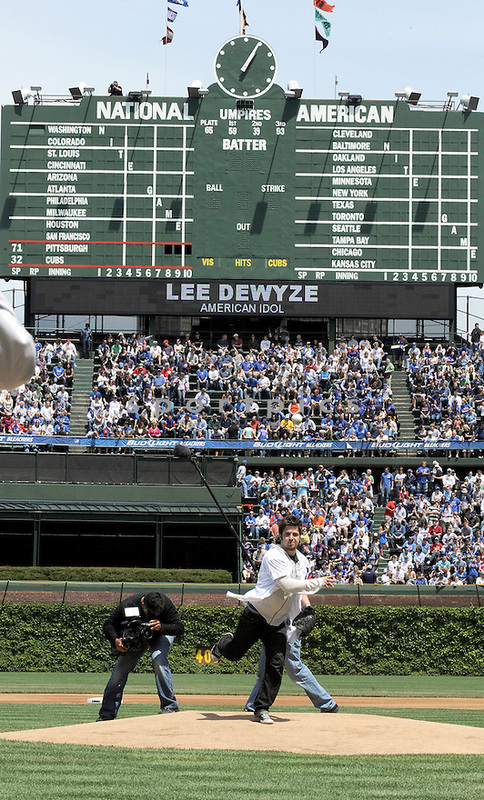 American Idol finalist and Chicago area native, LEE DEWYZE, visits the Chicago Cubs at Wrigley Field. He was there to throw out the first pitch before the Pittsburgh Pirates at the Chicago Cubs on May 14 , 2010. ..